Most HK movie stars start out starring in a Hong Kong TV series, like Chow Yun Fat. And believe it or not, if they become more and more popular from these TV series especially on a particular TV channel, "TVB", they will have a lot of potential and very bright futures. Jackie Chan was raised by his master with a group of kids. So, he didn't start out as an actor in any Hong Kong TV series. He had been practicing Kung Fu since he was a kid. 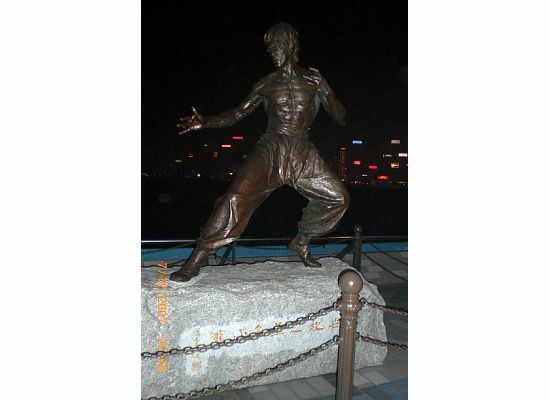 Bruce Lee was another well-known HK movie star. His legacy is so deep in everybody's heart. 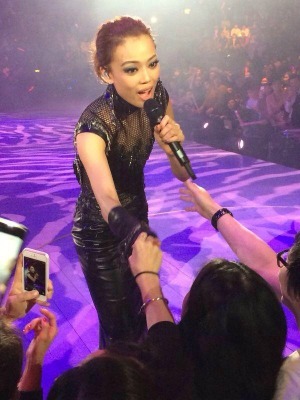 However, the newer generation movie stars, like Joey Yung, started out as a singer. Many of these them gradually develop their career into the "triple-thread" one, i.e. singing, movies and television. As the world learns more and more about HK movie stars, some Hong Kong movies have brought some effect even to Hollywood. Quentin Tarantino has been a big fan of Hong Kong movies . A lot of his movies were inspired by his favorite Hong Kong movie directors, especially Wong Kar Wai. Chinese living abroad create a big market for Hong Kong TV series. Many of them may not be broadcast in Hong Kong, they are only shown overseas. Also, many Hong Kong actresses have started to develop their careers in Hollywood, like Maggie Q. Because these celebrities are so well-known around the world, the Hong Kong Avenue of Stars was created. It may be difficult to see these movie stars in person. But you are really interested to take a picture with some of them, considering a visit to Madame Tussauds which exhibits many celebrities as wax statues. It is located in the Hong Kong Peak.